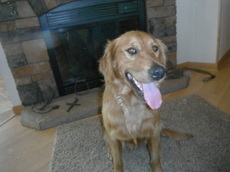 Sand Lake Lexus, aka "Lexi," just joined our kennel in June, 2012. She is a retrieving demon and a very people oriented dog. We are happy to have Lexi and plan on breeding her soon. If you are a Goldendoodle fan, please let us know and we will be sure to keep you in the loop as we go forward.